Located on 45 acres, the properties are near the intersection of South Quebec Street and East Yale Avenue, and were sold by the original developer, who operated the properties built from 1974 and 1977 prior to the sale. BMC Investments and Oak Coast Properties partnered on the $177 million, “one-of-a-kind” purchase of a three-property, 1,023-unit apartment portfolio in Denver. The partnership purchased the Westwood Apartments, Woodhaven Apartments and Timberline Apartments, which will be renovated and rebranded into one community – Ivy Crossing. The acquisition marks the ninth and largest investment partnership between BMC and Oak Coast, and represents metro Denver’s largest sale since 2016. “As our single-largest takeover to date, Ivy Crossing marks a major milestone in our commitment to improving workforce housing in the Denver metro area,” added Matt Joblon, CEO of BMC Investments. 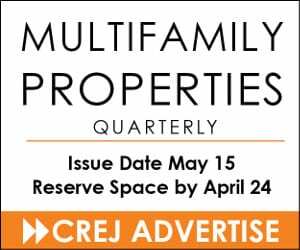 “Not only does it demonstrate our ability to execute an extremely complicated transaction – combining three properties into one to create one of the largest multifamily assets in Denver – but it also further solidifies the strong partnership between Oak Coast Properties, BMC Investments and BLDG Management. BLDG Management, the property management affiliate of BMC, will manage the property. Located on 45 acres, the properties are near the intersection of South Quebec Street and East Yale Avenue, and were sold by the original developer, who operated the properties built from 1974 and 1977 prior to the sale. 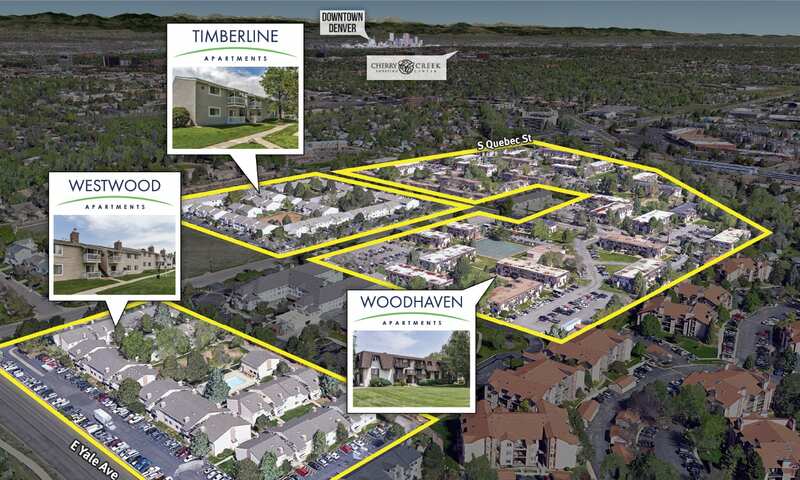 Ivy Crossing, located within the Cherry Creek school district, is located less than 10 minutes from the Denver Tech Center, is near the Yale light-rail station and is adjacent to the High Line Canal. 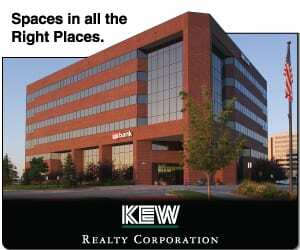 “This was a phenomenal opportunity – the last of its kind in the Denver metro area – to purchase legacy assets with such multifaceted upside potential,” said Terrance Hunt of Newmark Knight Frank. “Additionally, investors were offered the chance to establish a critical mass in an exceptional suburban location within the best school district in the metro area.” Hunt and Shane Ozment of Newmark Knight Frank represented the seller in the transaction. 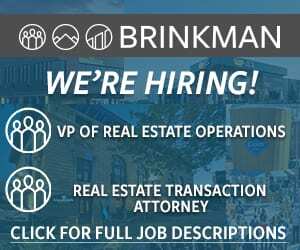 “There is a lot of capital in the Denver metropolitan market and this offering was a rare opportunity to put a large amount of money to work,” noted Ozment. There are only three apartment communities in the metro area with over 1,000 units and this portfolio received a total of 13 offers throughout the bidding process. The properties, which have not been updated since their original completion, feature well-configured floor plans with a blank canvas for a unit renovation program and substantial upside potential throughout common areas for reconfigurations and improvements, according to Newmark Knight Frank. New ownership plans a more- than-$5 million capital improvement program, which will focus on exterior and amenity components, which have not been upgraded in more than 40 years. Work will include improvements and centralization of the combined community leasing center, full renovations to a formerly closed 5,000-square-foot clubhouse and amenity center, enhancements to landscaping and property exteriors, creating consistent wayfinding and taking care of deferred maintenance. Work on deferred maintenance is expected to begin in the next month or so. “We plan to really beef up the amenity set so it’s one of the best in the submarket,” added Nahas. Holliday Fenoglio Fowler arranged a 15-year, full-term, interest-only loan of $120 million for the acquisition through Freddie Mac’s Optigo Social Impact initiative, which helps preserve affordable housing. In return for lower-cost loans, borrowers must voluntarily reduce or maintain a majority of a property’s unit rental rates at levels affordable to households earning 80 percent or less of area median income for the life of the loan. Fifty-one percent of the units at Ivy Crossing will be at 80 percent AMI or below. The HFF team that arranged the Freddie Mac loan on behalf of Oak Coast and BMC was led by Charles Halladay, Brock Yaffe and Rick Salinas. “We are very excited about creating long-term affordability in the market and locking in very attractive debt terms,” added Nahas. The financing represents the first time both BMC and Oak Coast have participated in the Social Impact initiative. With the Ivy Crossing portfolio, Southern California-based Oak Coast Properties’ total Denver apartments portfolio exceeds 5,000 units with over $1 billion in valuation. 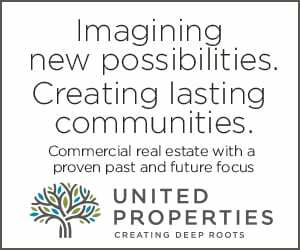 Denver-based BMC Investments specializes in the development, acquisition and redevelopment of properties of various property types across the United States. BMC’s portfolio of investments includes more than 7,000 multifamily units, 200,000 square feet of commercial space, and 350 hotel keys across Colorado.